At ISE 2017 (stand 8-N270), Barix will showcase its new Simple Paging app for Android phone users, plus its newly released SIP-based support for redundant PBX systems, among other audio-over-IP products. Barix will demonstrate how its SIP gateway can now allow registration with redundant PBX systems, the latest step in the company’s commitment to SIP integration. With this enhancement, SIP-based telephone operators can register devices serving as their SIP client(s) to back up both their main and redundant PBX systems. 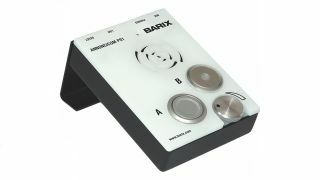 In providing this support, Barix is addressing the trend among VoIP integrators to marry intercom, paging, and music-on-hold applications with SIP-enabled PBX telephone systems, providing systems integrators and end users with a centralized control and management platforms for virtually all communications. By enabling redundant streams with seamless switching, systems integrators also now have a more fully formed solution to maximize reliability and customer uptime in corporate and other business environments. Simple Paging, first introduced at ISE 2015, gives systems integrators a way to transition schools and businesses to an IP paging and public address system that can additionally support background music, emergency notification, and other services over a common network. Simple Paging also gives end users the flexibility of paging from a master paging station at a fixed location, or from a mobile phone while on the move using the Barix Simple Paging app. In addition, Brader will give a presentation on “Paging and Intercom in the Age of Mobile” at ISS. Brader will share his insights into trends and developments on this emerging topic, and put paging and intercoms into a 21st century IP context for attendees in the Audio Theater on Friday, February 10, 2017 at 12 p.m. local time.